Jacqueline and Jalisa Pinnix both work as firefighters and EMTs in D.C. In an ESSENCE exclusive, they tell us about their unbreakable bond and what it's like working together while saving lives. 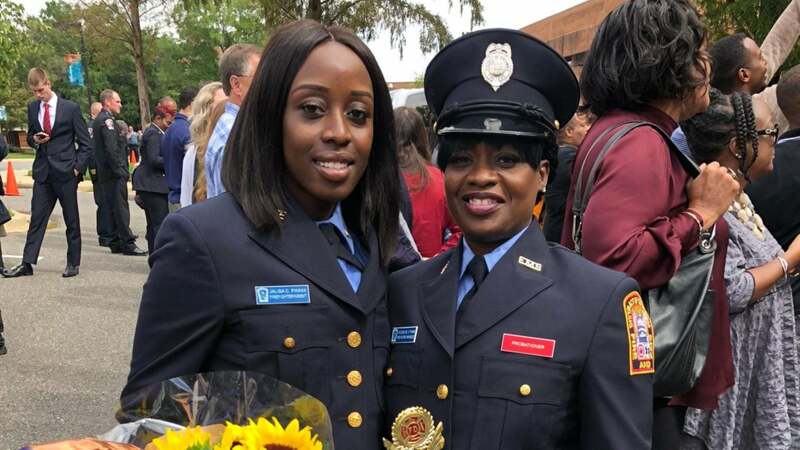 Jalisa Pinnix did not always know that she wanted to be a firefighter, but she grew up in complete awe of her mother, Jacqueline Pinnix and all the stories she would tell her about her work in the Emergency Medical Services (EMS) sector. Therefore when she discovered there were openings, she went down to the local convention center and took the test for a chance to work in an ambulance just like her mom. Now both mother and daughter work as firefighters and EMTs. Jacqueline found her helpfulness and concern for others to be the qualities that lead her to join the station,18 years ago. Now at 50-years old, Jacqueline was promoted and used her knowledge to help her daughter while on the job. During Jalisa’s academy, five women graduated out of a class of 24.